In 2010, I was invited to India for the first time to participate in a meeting at Gajner, Rajasthan. 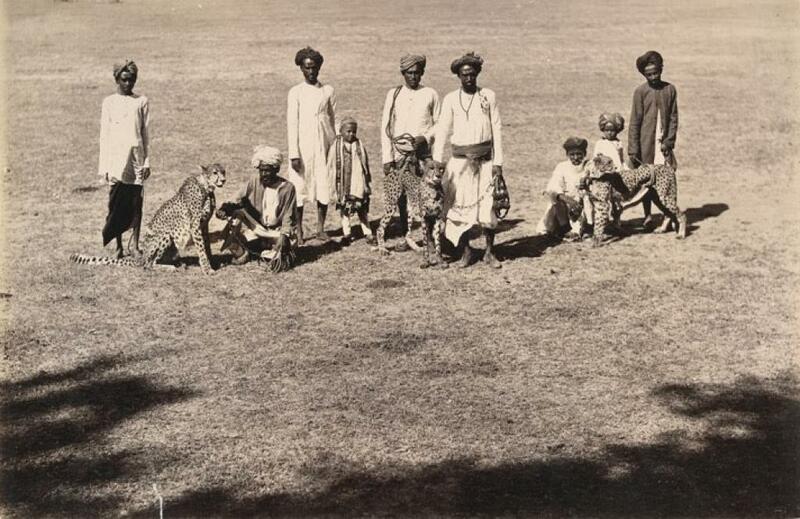 The subject was the reintroduction of the cheetah, a species that once roamed India, but had disappeared 66 years ago. Representatives from the International Union for Conservation of Nature (IUCN)’s Cat Specialist Group (of which I am a member), Veterinary Specialist Group and Reintroduction Specialist Group, along with other international experts, shared perspectives with government officials. The meeting was very promising. The following year, I was invited back to conduct a fact-finding mission in the Kuno Palpur Sanctuary (KPS) in Madhya Pradesh. I assessed KPS for suitability as habitat, looking at factors like weather; prey base; water supply; the presence of other predators, livestock and domestic animals; and the number of human settlements. I inspected potential holding areas and release sites, and I interviewed park officials. I also visited resettled villages outside KPS to speak with human residents. After this visit, I wrote a detailed plan for reintroducing a small population of (African) cheetahs into the reserve, a pilot programme. I found this to be a most exciting idea. I was very hopeful. In 2013, the Supreme Court of India quashed the cheetah reintroduction project, citing several reasons. Chief among them was that no detailed study had ever been conducted on introducing a foreign species to India. But the cheetah is not foreign to India—it had become locally extinct. Now, hearing a plea recently brought by the National Tiger Conservation Authority (NTCA) that makes this point, the Supreme Court has agreed to reconsider. A century ago, 100,000 cheetahs roamed most of Africa, India and other parts of Asia. Today, fewer than 7,100 remain, and they occupy a mere 9 per cent of their historic range in small pockets of Africa. The Asiatic cheetah became extinct in India in 1952. A handful still exist in Iran, but their numbers are declining so quickly, the Asiatic cheetah might soon be extinct there as well. The reasons cheetahs are on a swift decline can all be traced to man’s interference. Problems like human-wildlife conflict, loss of habitat and loss of prey, and illegal trafficking, have decimated their numbers. The advent of climate change and growing human populations have only made these problems worse. With less available land for wildlife, species that require vast home range like the cheetah are placed in competition with other animals and humans, all fighting over less space. Reintroducing cheetahs in India will help relieve pressure on the species by creating additional habitat, which the cheetah desperately needs to survive. It will also help increase the species genetic diversity. But why should we care about saving the cheetah? The cheetah, Acinonyx jubatus, is one of the oldest of the big cat species, with ancestors that can be traced back more than five million years to the Miocene era. The cheetah is also the world’s fastest land mammal, an icon of nature. With great speed and dexterity, the cheetah is known for being an excellent hunter, its kills feeding many other animals in its ecosystem—ensuring that multiple species survive. The National Forest Commission of the Government of India strongly recommends the protection of its habitats and associated flagship species. The reintroduction of cheetahs will help restore India’s open forests and grassland ecosystems, which have been suffering. Having cheetahs will result in greater biodiversity, and biodiversity is the hallmark of healthy ecosystems. India is also home to the world’s largest free-roaming populations of livestock. Bringing back the cheetah will focus attention on pastoralism, and in doing so, help restore India’s natural heritage. Cheetahs are a non-aggressive species that do not attack humans. Among large carnivores, cheetah present the lowest level of conflict with human settlements, as they prefer wild game and are thus unlikely to threaten large livestock. Simultaneously, having cheetahs in India will boost ecotourism and enhance livelihood options and living conditions among the local communities where the cheetah is introduced. Local communities should be counseled on living in harmony with wildlife, particularly predators like the cheetah. This can be accomplished through proper training and communications programmes, using the kind we have successfully developed in Namibia at the Cheetah Conservation Fund (CCF) as models. Yes, the cheetah reintroduction project will be a massive undertaking, very complex, and it will require great financial resources. But it is one very much worth the attempt, because the payoff is so enormous.